Starvation occurs in three phases. First, the body halts consumption of glucose, its primary energy source. Then, it scrapes away at fat deposits. Once those are depleted, it finally cannibalizes muscle mass to feed the brain. The body enters a delicate balancing act, substituting glucose for fat and eventually protein, until organ function is affected and results in death. The ultimate cause of death, in general, is cardiac arrest or the stopping of the heart. At its core, starvation is a process of desperate sacrifice. There is a long tradition of using starvation as a form of political resistance, most notably attributed to Gandhi’s hunger strikes in protest of the British occupation of India. We praise such acts of deprivation for its heroic spirit: the acceptance of voluntary suffering and rejection of violence to plead to the oppressor’s hypothetical conscience. It was Gandhi who inspired Lt. Col. Thileepan, former political wing leader of the Liberation Tigers (LTTE), to engage in hunger strike. He died after eleven days of refusing food and most remarkably, water, to appeal to the Indian government to honour pledges made to the Tamil people. All Tamils detained under the Prevention of Terrorism Act should be released. The colonisation of Sinhalese in Tamil areas under the guise of rehabilitation should be stopped. All such rehabilitation should be stopped until an interim government is formed. The Sri Lankan government should stop opening new police stations and camps in the North Eastern province. The Sri Lankan army and police should withdraw from schools in Tamil villages and the weapons given by the Sri Lankan government to ‘homeguards’ should be withdrawn under the supervision of the Indian army. Born Rasiah Pratheepan in 1963, Thileepan was from Urelu, near Urumpirai in the Jaffna District. He was the fourth son of his father a Tamil school teacher and mother who died three months after he was born. He completed his higher education at Jaffna Hindu College, and despite earning a spot at the medical faculty of Jaffna University, he swiftly joined the LTTE instead. His decision was made at age 10, after witnessing the violent assault of ten Tamil youth by Sinhala policemen at the World Tamil Research Conference in Jaffna in 1974. 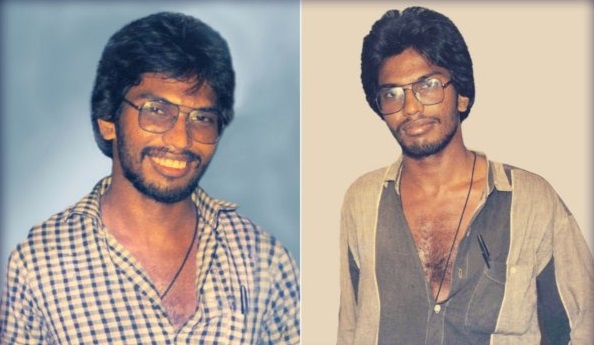 It was upon joining the LTTE that he took up the name Thileepan. 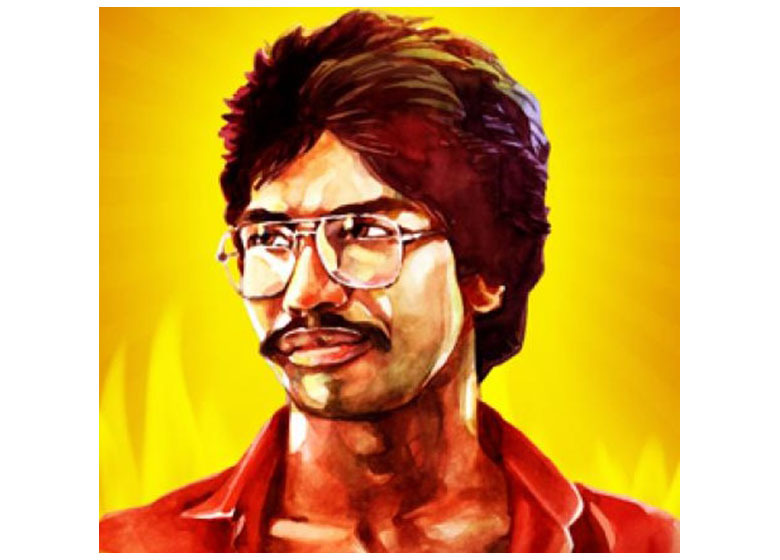 Thileepan’s death on September 26, 1987 sparked widespread grief across the Tamil homeland. It was firmly believed that timely intervention from India would have saved him, igniting outrage towards India and the Indian Peace Keeping Force (IPKF). Black flags draped the Jaffna district, hanging from roads, houses, churches, temples, trees and public buildings. Thousands of sobbing mourners attended his “martyr’s funeral”, chasing the decorated van carrying his body. As per his last wish, his body was donated to the medical faculty of Jaffna University. 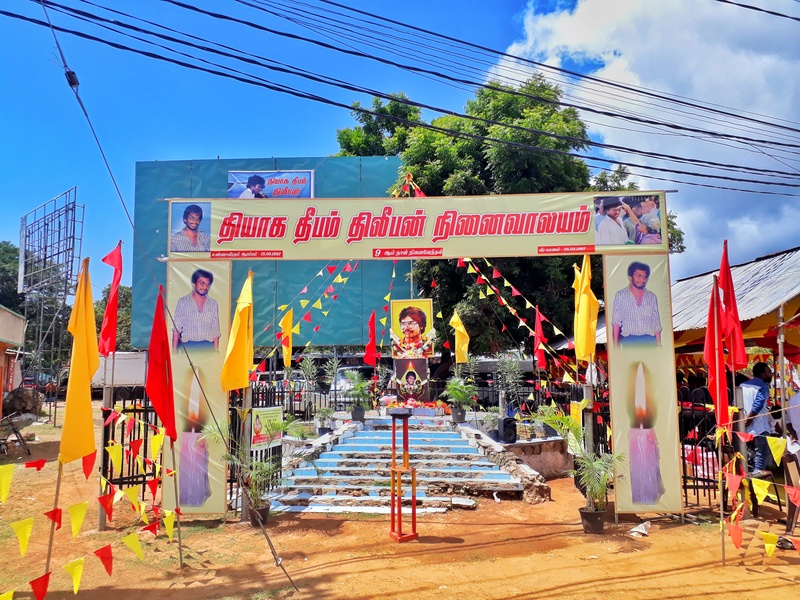 A memorial built the year after his death marked the very place that Thileepan began his hunger strike at the Nallur Kandwaswamy Temple. A pale blue tower stretched into the sky holding his portrait surrounded by red and yellow flags. The memorial was destroyed by the Sri Lankan army after their capture of Jaffna in 1996. It was rebuilt in 2003 during the ceasefire period, and destroyed again by the army in 2006. In 2007, it was razed by a group of armed men, and once again in 2010, leaving nothing behind. This year, Jaffna’s Municipal Council has successfully restored the barrier that surrounded Thileepan’s memorial, with the intention of restoring the tower to its original glory. In the restoration process, Sri Lankan military intelligence threatened workers with detainment and forcibly removed the banner erected at the site upon completion. In spite of this harassment, Tamils across the North-East have held public events remembering Thileepan. In remembrance there is powerful resistance. For Tamils in Sri Lanka, where LTTE grave sites are demolished and built over, remembrance is a means of survival. It is an active attempt at grounding a reality that is persistently denied. It is also why despite government threats of detainment and repeated destruction, commemoration will continue. 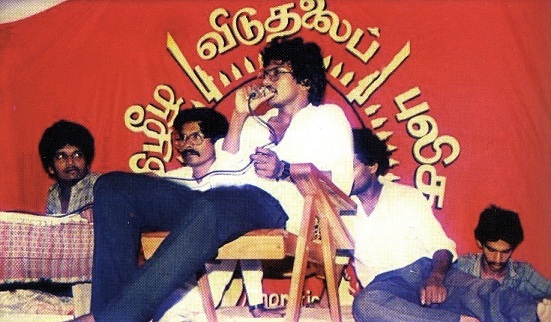 On this day, thirty-one years ago, Lt. Col. Thileepan died from starvation.The first of his five demands was that “all Tamils detained under the Prevention of Terrorism Act should be released.” On September 14, less than two weeks ago, eight political prisoners at Anuradhapura prison launched a hunger strike demanding their release. Four of them have since been admitted to the hospital. On September 23, protestors in Jaffna gathered outside a bus station in solidarity. Despite a lapse of three decades, Tamil people are still protesting the same injustices and resorting to hunger strikes to bring attention to their mistreatment. Our prolonged starvation invites the pained question, will we ever be full? According to Thileepan, eight political prisoners and protestors, one day, we will.